My advice for engagement session locations is always to pick places that are meaningful to them. 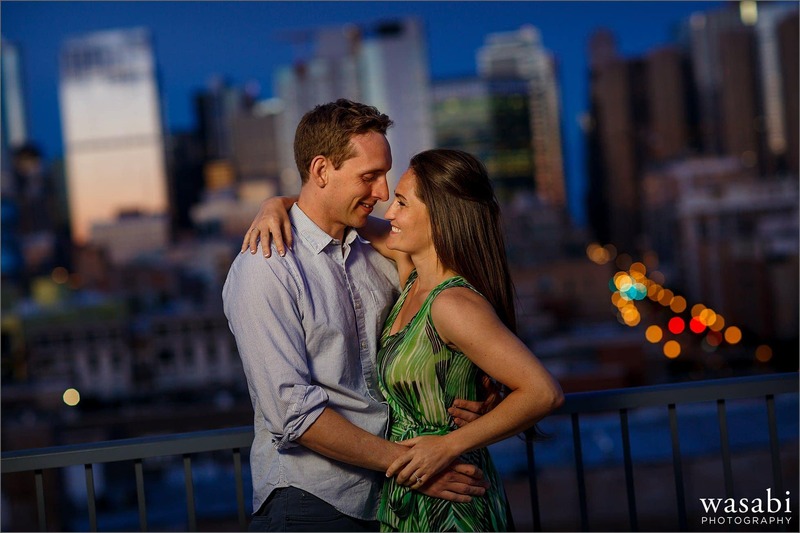 Kelly & Elliott did just that with their rock climbing engagement photos in the West Loop. We were able to get three different locations and a lot of variety without leaving their neighborhood. 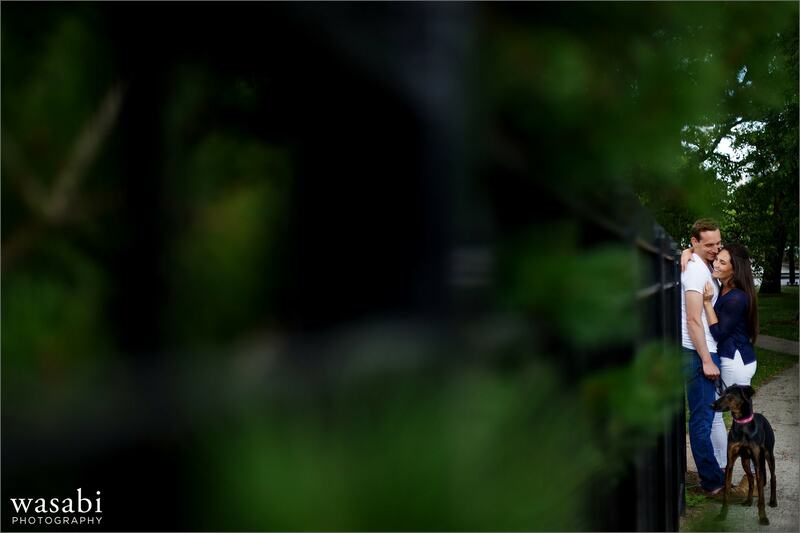 We started the shoot with a walk through Union Park with their pup. For a relatively small park, Union Park offered some great shooting options. After the park we headed to their local gym, Brooklyn Boulders, where they do their rock climbing and Kelly teaches yoga. This is a seriously physically-talented couple. I got to see headstands and other impressive acroyoga poses. They even recreated the upside down Spider-Man kiss on the rock climbing wall. After an outfit change we headed back down the street to the Madison at Racine building’s roof deck. 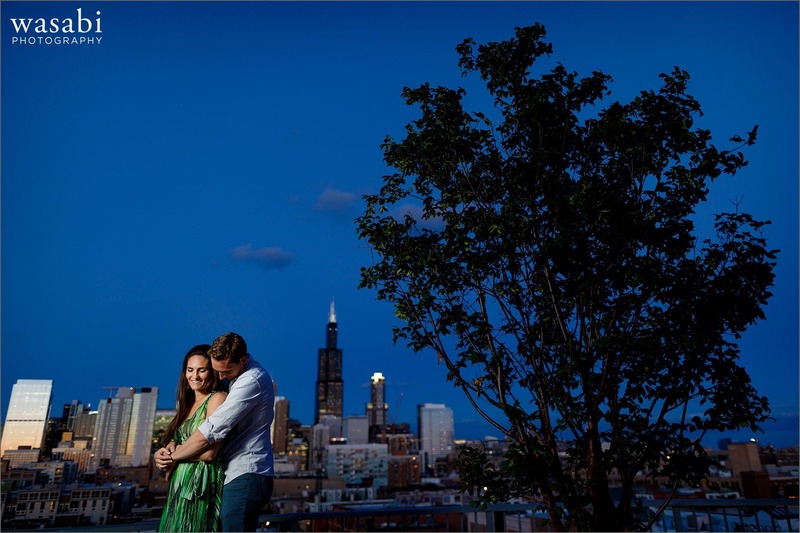 With one of the best Chicago skyline views in the West Loop it was a perfect place to finish the evening. Thanks to my friend Amanda for her help as my lighting assistant and to Brooklyn Boulders for letting us make rock climbing engagement photos in their gym. 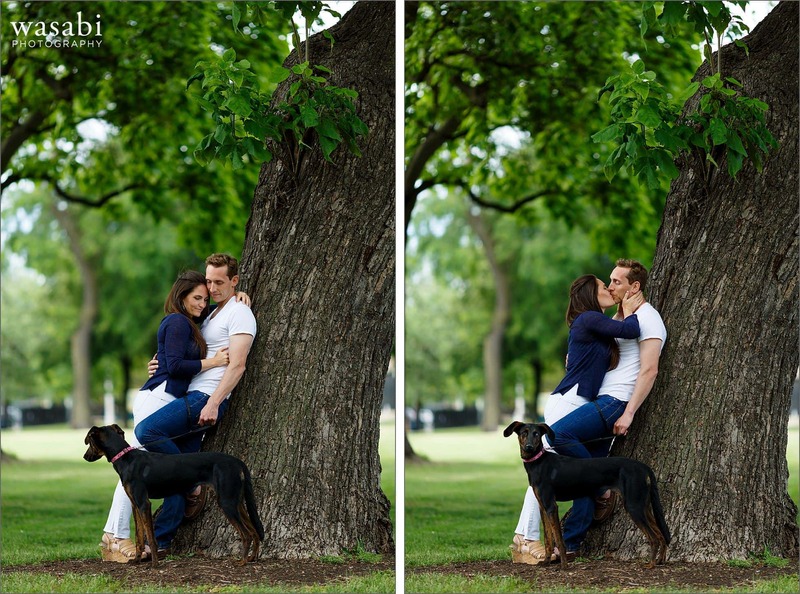 Looking forward to seeing Kelly & Elliott for their wedding later this year!